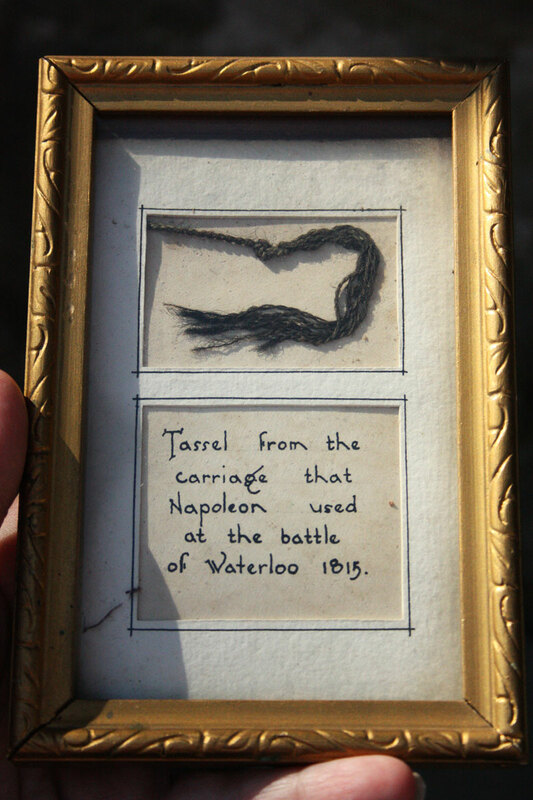 “Tassel from the carriage that Napoleon used at the battle of Waterloo 1815”. The Battle of Waterloo, is always included on lists of battles that changed the course of history. Napoleon was considered one of the greatest generals ever, yet he is often defined by this one terrific loss at the end of his career. This tassel is framed, behind glass and in poor shape (the frame that is). We aren’t reframing it, due to it’s age we believe people will want it as is.